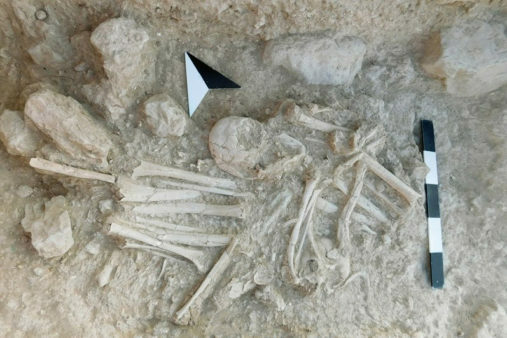 Two burials with rich grave goods were discovered in a pit of the Middle Minoan IA era (2100-2000 BC) in Siteia, NE Crete, during excavations of a palace-related cemetery, according to Athens News Agency. The excavations took place at the cemetery of Petras in the area of Siteia, dated to 2800-1700 BC (Pre- and Proto-Palatial periods) and they have been going on for 14 years under director emerita of the Ministry of Culture Metaxia Tsipopoulou. 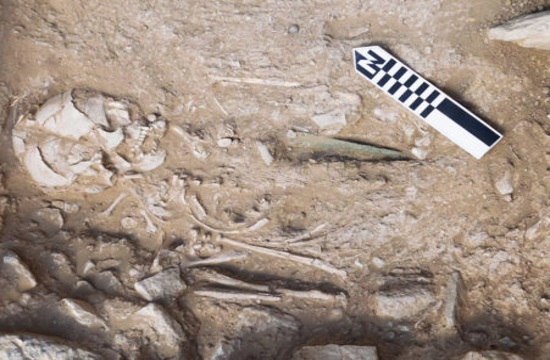 In the first pit, a primary or original burial of a man included the first weapon found in Petras, a bronze short sword, Tsipopoulou noted in a statement. The first burial also included a "secondary burial of a woman with a large number of gold beads of very fine workmanship" and beads of silver, crystal, carnelian and jasper. The second burial, also a principal one, was dated to the Proto-Minoan II period (2600-2300 BC) and included "dozens of gold beads with exquisite pressed decoration of spirals, as well as hundreds of other beads of gold or silver, with a diameter of 1mm, which appear to have been sewn onto a garment." A third burial, elsewhere, was unique to Petras and comprised of a tomb made of perpendicular schist slabs, forming a box-like structure. This contained two secondary burials of children under 10 years old and two gold bracelets from thin sheets of gold. For its era, the Petras cemetery has proven to be by far the biggest on Crete. It belonged to elite family members related to the palace in the area. So far, 26 funerary buildings of 45 to 150 sq.m. have been excavated, along with five burial pits that include irregular stones or low walls. 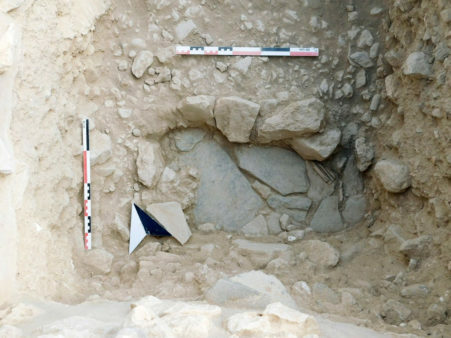 According to Tsipopoulou, the cemetery contains at least four or five funereal buildings that were noted in 2018 but have not been fully excavated yet. It also features two extensive areas for rituals, dating to between 1900 and 1700 BC (Middle Minoan IB-IIB) and two periboloi, or low built enclosures, east and west. In antiquity, Petras had a large port and served as the entry gate to eastern Crete during the Pre- and Proto-Palatial period for the incoming trade of raw materials, objects as well as ideas from Syria and Egypt. 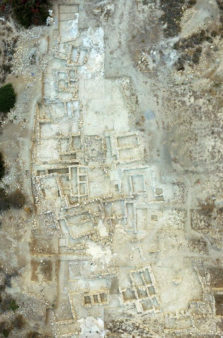 Its palace, according to the official excavation site https://www.petras-excavations.gr/en was constructed in the Middle Minoan IIA era (19001800 BC), slightly after the large palatial complexes of central Crete. The preserved section of it covers 2,500 sq.m., but it's impossible to calculate its original extent becuase the whole southern section has been destroyed. In the 14th century BC (during Late Minoan IIIA), after the destruction of its palace, there was building activity in the cemetery that appears to be related to honoring ancestors. 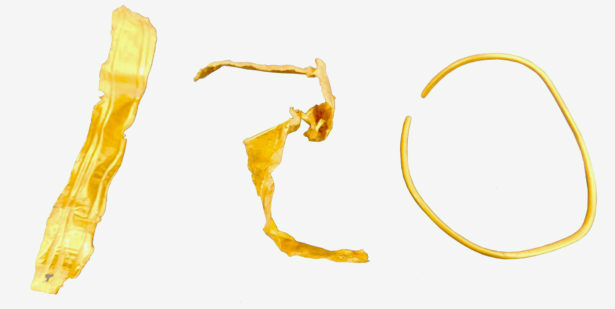 This activity lasted to the 12th century BC. During this year's season, the excavation staff included 19 graduate and doctoral students from the Universities of Athens, Crete, Thessaloniki, Kalamata, Madrid, Harvard, Rhodes and Toronto. Senior excavators included professors David Rupp, Miriam Clinton and Sevi Triantafyllou, Dr. Maria Relaki, along with nine workmen from Siteia. The study group includes 26 archaeologists from Europe, the United States and Canada. The excavation, the stabilization of architectural features, the conservation of findings and their study are funded exclusively by INSTAP, the Institute for Aegean Prehistory which was founded as a nonprofit organization in the United States in 1982.